If you're reading this, I 💗 you! I'm not a cat who believes in fake cat marriages and such which isn't to say I'm not a romantic. Here's a special Valentine's card for Pop. I 💗 him so much! He's the reason I'm still here in the condo. TW would have evicted me. Biting Pop means no consequences. Since I didn't make V-Day art Saturday, I rectified it by drawing some AND making it into a Valentine's puzzle as a bonus for you to take home. If that isn't true love, I don't know what is. Can you feel the love yet? No? OK, I knew you were coming, so I baked cupcakes. Have one. 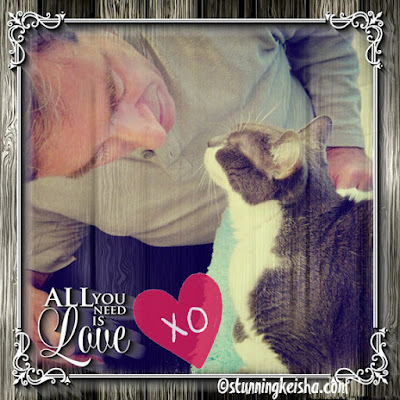 I really do appreciate my furrends and readers. 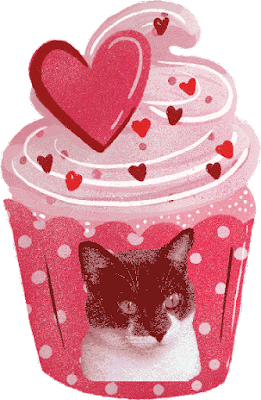 I ❤️ you enough to throw you a Valentine's Day pawty with art, puzzles and cupcakes filled with nip and love. Thank you for supporting Stunning Keisha. It couldn't have lasted almost 10 years without your shares and comments. Sorry if I'm getting shmaltzy. I just might have to bite TW to get my mojo back. Are you getting special treats and gifts? If your peeps go out to eat, are they bringing you a kitty bag? I hope so. Will you be my Valentine—no strings attached? Happy Valentine's Day! Happy Valentine's Day, CK! We're having a raining Valentine's Day here, and I think that is going to put a damper on any plans my human may have had... well, the weather has to clear up sometime, though, doesn't it? I love you to CK, and thanks for the lovely artsy card. That is a very sweet card for your Pop, and I can see how much you love him in that picture. What a lovely Valentines post. You do love your dad and we can tell. I had a cupcake. Delicious. I'm feelin' the love beautiful - thanks for sharing that loving energy today! CK, such a wonderful post! Dunno why you've got that bitey thang going; it's weird! We all love you too CK, Happy Valentine's Day dear friend! What a super Valentine's Day celebration! We love you a LOT! Happy Valentine's Day! We LUV you! We feel ya, CK! And you know what? We love you, too! Happy Valentine's Day to you, TW and Pop! Aw, beautiful valentine! 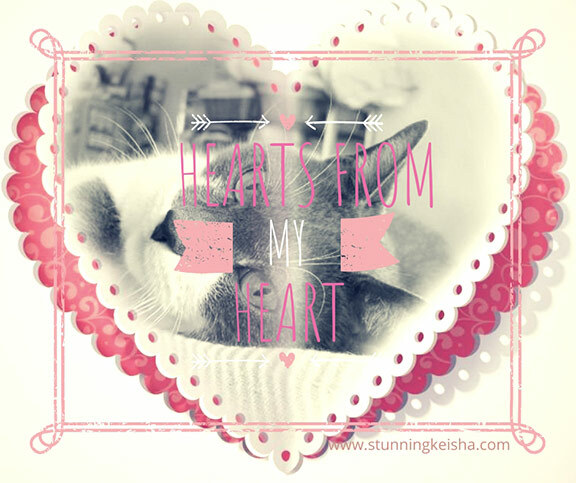 Purrs and Head Bonks and Valentine's wishes to you and yours from The Tribe of Five at Feline Opines. That was so sweet! Happy Valentine's Day, CK! and to your Pop and TW as well. 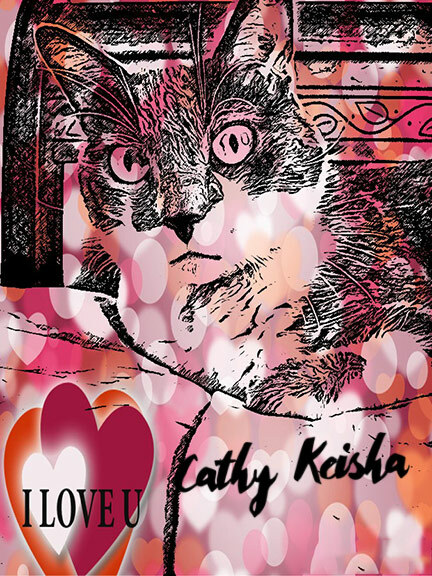 Stunning CK, what a lovely Valentine card you created! We hope you had a swell V-Day and we appreciate you stopping by so much! That cupcake looks delish...don't mind if I do! And yeah, you being shmaltzy...I guess that could only happen on Valentine's Day! We heart you, CK!